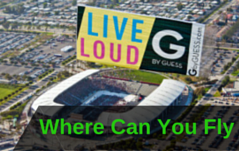 Aerial advertising can be a powerful way to target consumers at beaches and major events. And rush hour banner advertising is also one of the best ways to target a captive audience stuck behind the wheel. Americans are driving more than ever, with the number of daily miles doubling since 1980. This means we’re also sitting in more traffic than ever before. This year alone, we’ll sit in roughly 34 hours of traffic, with much of that traffic occurring during rush hour. Luckily, Van Wagner Aerial Media has developed a way to reach your audience when they’re stuck in traffic and can’t get away. Turn an unfortunate event into the perfect spot to display your unique advertisement and highlight your brand. Gridlocks during rush hour often stretch for miles. With a creative plan for rush hour airplane advertising, your banner can reach everyone as they sit behind lines of cars. Flying along the rush hour route gives you long-term exposure as you circle overhead. At Van Wagner Aerial Media, our experts learn the traffic areas for your region and find the best place to fly to reach more commuters with your message. Rush hour banner advertising can easily put your message in front of hundreds of potential customers and even spark a conversation. You may also benefit from reaching stores, pedestrians and other people located near the traffic jam. Restaurants, gas stations and other businesses tend to be located around busy corridors, so you may find new customers next to your target audience. Rush hour airplane advertising gives your audience something to look at as they sit in stop-and-go traffic. By putting your message in the sky, you can attract attention that roadside billboards won’t be able to touch. When your ad circles overhead during rush hour, banner advertising gives your audience something to look at. Repeat exposure over a short amount of time is a great way to increase your company recognition, promote new products, and spread company news. To make your ad more effective, you can also try a wide variety of ad types. 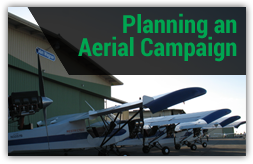 At Van Wagner Aerial Media, you have more options than just rush hour airplane advertising. Get the crowds excited with a blimp, or attract attention with the noise that comes along with helicopter banners. With aerial advertising, you’ll make a lasting impact and cheer up some commuters at the same time. Different advertisements will have different impacts and success rates when it comes to rush hour aerial advertising. The experts at Van Wagner Aerial Media can help you match the right ad format to your goals and audience. Our team will make sure you don’t miss an opportunity to improve your bottom line. When you’re ready to learn more, contact us for a free, no-obligation quote. 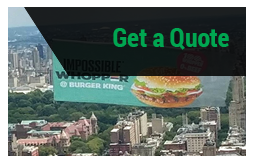 We’ll answer your questions and help you incorporate aerial ads into your next multi-channel strategy. Rush hour aerial advertising might be the perfect strategy to increase your exposure throughout the whole year.